It was with great excitement that NAVC recently introduced its newest official journal: Today’s Veterinary Technician. Like Today’s Veterinary Practice, this journal presents peer-reviewed articles, focusing on continuing education and career development for veterinary technicians. I am thrilled to acknowledge my counterpart, Lynne E. Johnson-Harris, LVT, RVT, the Editor in Chief of Today’s Veterinary Technician. 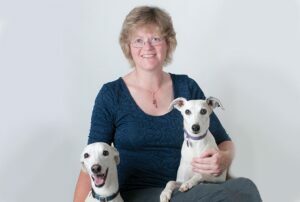 Lynne was the first veterinary technician to be elected to the NAVC Board of Directors, on which she served from 2003 to 2015, and as President from 2013 to 2014. Today’s Veterinary Technician by visiting todaysveterinarytechnician.com and selecting SUBSCRIBE from the top navigational bar on the home page. I don’t think that any clinician would argue about the integral importance of veterinary technicians to our practice team. For many of us, veterinary technicians are the glue that holds our practices together. At a minimum, they are the face of patient care for our clients, keep us running on time, and ensure we have all the equipment we need. But of greatest value are the unique skills, including diagnostic, monitoring, and treatment, that veterinary technicians contribute to our patients’ health care. Which of us hasn’t reacted with concern when a trusted veterinary technician said, “I think Fluffy isn’t doing so well today; there’s something going on, will you take a look?” It’s smart to listen, since that veterinary technician is almost always correct. In my ideal world, I hope to work with veterinary technicians who demonstrate a high level of responsibility for their clients and patients; have a deep understanding of disease processes, expected/predicted course of diseases, and interventions that might prevent disease or complications; and are educated and articulate in communicating with clients. And we can’t forget the importance of technical skills: those treasured veterinary technicians who can get in an IV line when no one else can hit a vein, or who can safely and efficiently anesthetize and then wake several patients and, therefore, get us through a long surgery day. That’s no simple job description! But we all know amazing veterinary technicians who do all of this every day. We anticipate that Today’s Veterinary Technician will help advance the careers of many veterinary technicians as they aspire to these professional goals. The National Association of Veterinary Technicians in America (NAVTA) was formed in 1981, with a mission to represent and promote the profession of veterinary technology by providing direction, education, support, and coordination for its members. With NAVTA’s pursuit of their missions of elevating and promoting the profession, veterinarians continue to recognize the value of veterinary technicians in all aspects of veterinary medicine. Since 1994, NAVTA has worked with leaders in various disciplines to help interested veterinary technicians advance their credentials beyond a CVT, RVT, or LVT designation. To date, they have been instrumental in the creation and support of 12 Academies, spanning disciplines from anesthesia to zoological medicine. The United States Bureau of Labor Statistics lists some data from 2014 with regard to certified veterinary technologists and technicians (visit bls.gov/ooh/healthcare/veterinary-technologists-and-technicians.htm). Nationally, in 2014, there were 95,600 jobs in this field, with a high expected growth of 19% (17,900 jobs) in the next 10 years. The 2014 median pay was only $31,070 per year ($14.94/hour), which compares with the national median for all workers of $35,540. Hourly wages are higher in certain parts of the country in which licensed veterinary technicians are in higher demand. Note, however, that this is median pay for certified veterinary technicians who have completed at least a two-year associate degree in veterinary technology, and it does not include data about the many unlicensed technicians working in veterinary practices all over the country. Considering the importance of veterinary technicians to our profession, veterinarians need to work hard to elevate the esteem and recognition of our valued veterinary technicians, and I am optimistic that eventually their salaries will reflect their true, and priceless, worth. I extend my best wishes and wholehearted support to our fellow team at Today’s Veterinary Technician as they begin this new journey. May they enjoy it as much as I appreciate being part of Today’s Veterinary Practice!